Sure, I love the fact that Leonardo DiCaprio finally won an Oscar for Best Actor in The Revenant, but we can't forget where he got his start. 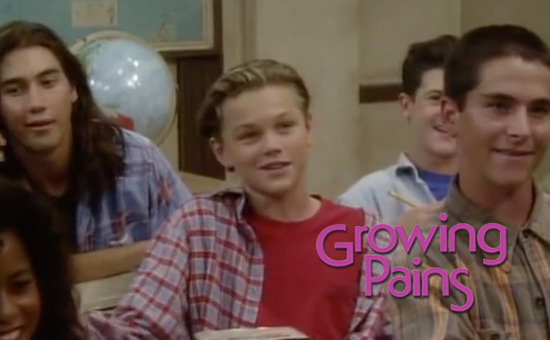 As your typical latchkey kid growing up in the 90s, I'll never forget watching this fun-loving, young actor join The Seavers in Season 7 of Growing Pains. Invited to join the cast as a way to, what I can only assume, attempt to help revive this slowly dying show, the addition of DiCaprio didn't help as much as ABC had hoped. Unfortunately, the show came to an end at the end of Season 7. Nonetheless, here's to you Leo! You came a long way from that bright-eyed homeless boy who won the hearts of millions of viewers oh so long ago. Cheers!